After passing through early AnTuTu, TENAA has now officially approved OnePlus 3 smartphone and the device will be unveiled on June 14. 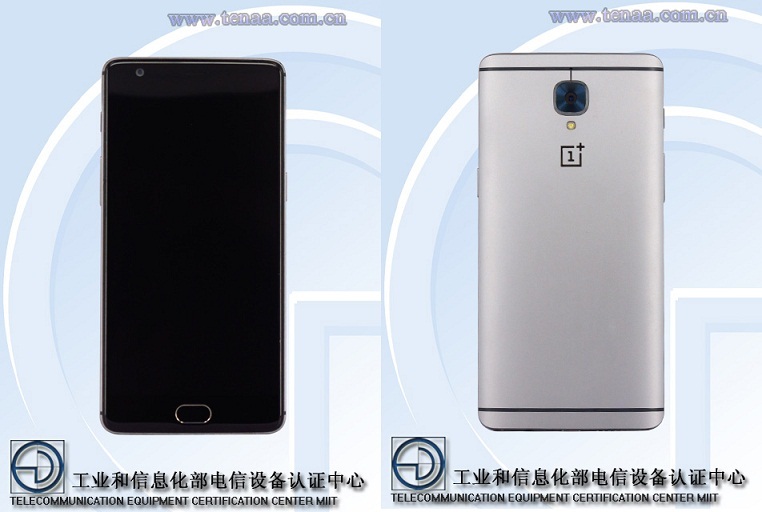 Here is the TENAA website OnePlus 3 photo and you can find rest details at LINK. 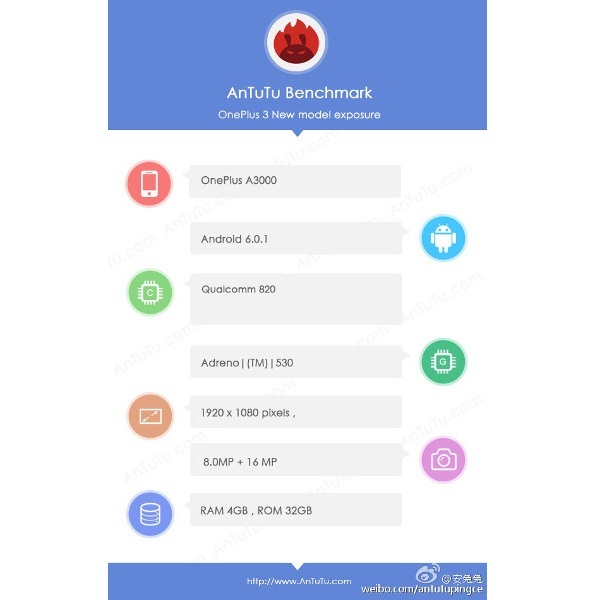 Upcoming OnePlus 3 has surfaced on AnTuTu and in doing so, it’s specifications were revealed, we know every specs except the battery life. The Xiaomi Mi5 alternative will be powered with 4 Gigs of RAM, 32 GB internal storage and will include micro SD card slot which was missing in the OnePlus 2 smartphone which received mixed reactions. OnePlus 3 will be competing with the likes of Asus ZenFone 3, Xiaomi Mi5, Huawei P9 and other popular phones. OnePlus 3 is priced at $399. It’s price in India will be Rs 25,000 approximately. Disclaimer: Specifications for OnePlus 3 were entered manually. Technos Amigos doesn’t guarantee of 100 % correct information. If you find some mistakes, please report to us, using Contact Us page.